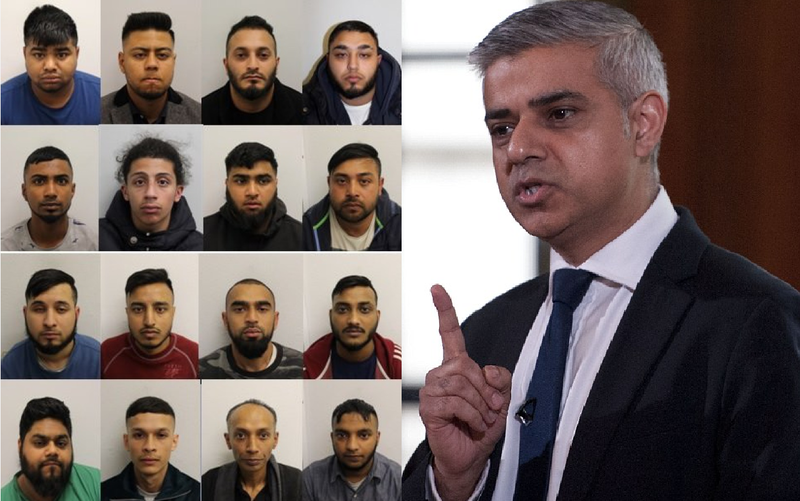 19 men of mostly Muslim background were sentenced in the past few days for charges including the supply and sale of heroin and crack cocaine. They received a total sentence of 49 years. The media reporting on the verdict has been quite slim to non-existent. Judge Peters of Snaresbrook Crown Court claimed: “People look out of their windows and see drug dealers going about their criminal, evil work oblivious to the residents and workers of the area. Related coverage: <a href="http://thegoldwater.com/news/34650-UK-Amid-London-Crimewave-Nike-Headgear-For-Fashionable-Thugs-Sells-Out-No-Joke"> UK - Amid London Crimewave, Nike Headgear For ‘Fashionable Thugs’ Sells Out (No Joke)</a>. The gang used BT phone boxes from their own night shops so that callers would not be charged for the first few minutes of calls as they made arrangements for the drug deals. Posing as drug users, metropolitan police were able to meet up with gang members in Whitechapel streets to pick up packages of crack cocaine and heroin. Related coverage: <a href="https://thegoldwater.com/news/34159-UK-Children-Disembowelled-In-Another-London-Mass-Stabbing-Brawl-Of-30-Youths-Video"> Children disembowelled in another London mass stabbing brawl (Video)</a>. As part of the gang, three boys aged 15, 16 and 17 were also sentenced after pleading guilty to supplying cocaine and heroin for the users.